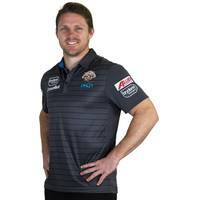 The Wests Tigers 2018 Lifestyle Polo is perfect for all occasions. Designed with comfort in-mind, the Lifestyle Polo is constructed from revolutionary Bamboo Charcoal Yarn to keep you cool and comfortable. Featuring highlights of our beyondblue inspired 'pop' colour.